For thousands of years, kabbalists have taught that the Aramaic words encoded in the Zohar portion of Vayishlach offer a direct connection to the energy of protection. When we connect to Vayishlach—an aspect of protection is not only awakened in us, but in the world as a whole. You can connect to Vayishlach in four ways. The eye truly is the window to the soul. As such, it reads much more than mere letters on a page. By scanning the Aramaic words of the Zohar portion of Vayishlach—from right to left—our eyes gather the energy of protection and we begin to change the very frequency at which our souls operate. To continue scanning the Zohar for protection, use the Zohar scanning chart. The kabbalists teach that every time we utter a word from the Zohar, it helps to remove some negativity from our being and replace it with blessings in a kind of soul transfusion. After scanning the Zohar portion of Vayishlach in Aramaic, read the English translation aloud. As the Light mimics us, so too the way we engage with the Zohar will be reflected by the universe. 1. "And Ya'akov sent messengers..." (Beresheet 32:4). Rabbi Yehuda began the discussion with the verse: "For He shall give His angels charge over you, to keep you in all your ways" (Tehilim 91:11). This verse has already been explained by the friends. When man is born, the Evil Inclination enters with him and constantly denounces him, as it is written, "sin crouches at the door" (Beresheet 4:7). What is meant by "sin cronches"? It refers to the Evil Inclination. "...AT THE DOOR" MEANS AT THE OPENING OF THE WOMB--AT A PERSON'S BIRTH. The more you bring the Zohar into your life, the stronger your connection to the Light becomes. 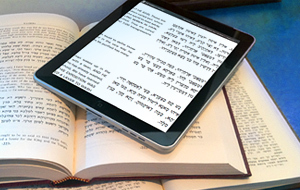 Connecting with a spiritual teacher to study the wisdom contained within the Zohar portion of Vayishlach is a hugely beneficial next step in connecting to the energy of protection, and one that you can take at any time. To continue studying the Zohar for protection, visit Kabbalah University. According to the kabbalists, the Zohar is the greatest gift possible to give or receive in this world. When you share the wisdom and energy of the Zohar portion of Vayishlach with friends and family, you help to bring and strengthen the energy of Protection in your life and in the world as a whole. 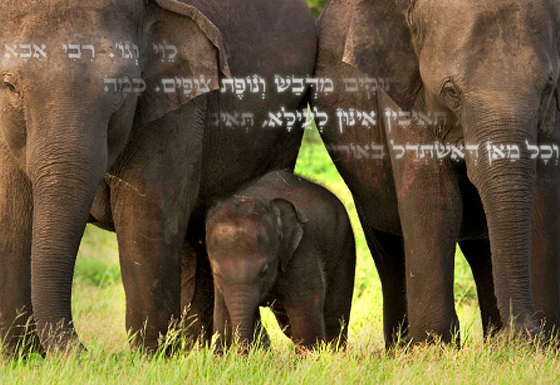 To continue sharing the Zohar for protection, join the Zohar Project.